Investing into a quality tool chest for your garage will allow you to store and organize all your tools. They are built to be heavy duty with a thick steel construction that contains multiple drawers depending upon the size you require. The best tool chest is the WEN 77041 Chest and Cabinet Combo, which has a huge 17,695 cubic inch of storage and heavy duty construction. When you purchase a tool chest, you will probably own it for multiple years and you will want one that ticks every box in terms of usability and build quality. This includes multiple drawers, heavy duty casters, locks and much more. Garage tool chests are available in a variety of shapes, sizes and weights. Some people may only use a tool chest in their garage but others may require a portable tool chest for tasks outside of the garage. However, this will mean you will lose out on storage space but there is no harm in having both a small and large tool chest. You will only ever buy a tool chest once or twice in your lifetime due to their heavy duty qualities, therefore its worth investing slightly more for the right one. Below is a list of the best tool chest for storing a range of garage equipment and tools. Overall, it is the best tool chest combo available that splits into two usable units. With the two locks, you are able to securely leave your expensive tools inside the tool chest without the worry of them being taken out without your authorization. This Seville Classic UltraHD is a stainless steel construction with a hardwood top that looks great and provides excellent durability. It is by far one of the most attractive looking tool chests available but you will be required to build it, which can take between 2 to 3 hours. 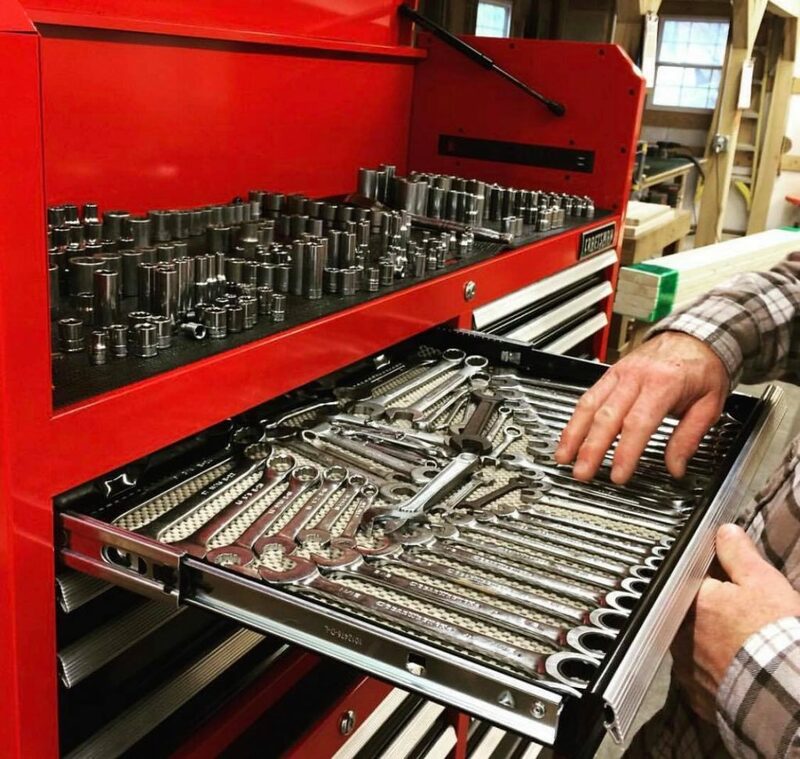 Rather than having more drawers, this tool cabinet provides a large 10 inch deep bottom draw that is excellent for storing drills, chargers and bulky tools. Overall, the Seville Classic UltraHD is the best rolling tool chest that is intuitively designed and is heavy duty to meet the requirements of use within the garage. 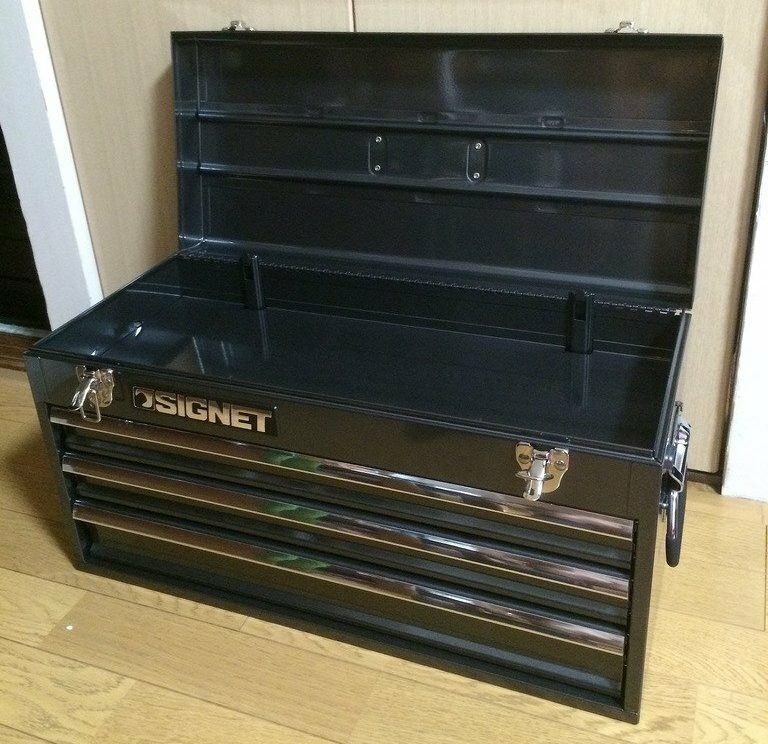 If you are on a budget, this tool chest will not be for you. The Viper VXXL86UBBL is the ULTIMATE tool chest that is a huge at 86 inches wide and it contains 22 draws. This is one of the largest tool chests on rolling wheels that money can buy. With 8 rolling wheels, you are able to move this 1,473 pound tool chest everywhere without too much hassle. Overall, the Viper XXL is the best tool chest for garages and you will struggle to complete fill it with tools because its that large. Viper also offer this tool chest in a smaller 72 inch wide alternative incase the 86 inches is too wide for your garage. The Excel TB2105X is one of the most popular tool storage solutions available due to its excellent build quality and value for money. There are no casters but it weighs just 50 LBS and has side handles for transportation. Compared to similar sized tool cabinets the Excel TB2105X, has thicker steel and the draws slide without effort. This tool chest is by far the best value for money in the medium sized category. Everything is built to a high standard and this tool chest will not disappoint. Not everyone has the space for a huge tool chest cabinet and may need to bring their tools with them on a job. The Craftsman 3-Drawer is a high quality garage tool chest that offers great portability and storage in limited space. The three heavy duty draws provide easy sliding and only open when the top lid is open. This is an excellent feature if you are moving around as it avoid all the tools from falling out. When the draws are empty, the whole chest only weighs a total of 19.4 LBS. Craftsman have done an excellent job with this portable chest cabinet that has been designed for mechanics on the move. Overall, it is the best cheap tool chest and you will not be disappointed with the quality compared to other cheaper alternatives. Investing in a quality tool chest for your garage can transform the looks of your garage and improve your work rate. Not only does it provide excellent organization for your tools but it is something that you only buy once or twice in your lifetime. Many people see garage tool chests as an expensive storage solution but these are people that are not efficient when working on cars. For example, they will spend half their time searching for a tool because they are leaving it around the garage rather than storing them in the tool chest. To help you make an informed buying decision, we have produced a detailed buying guide below. Determining the size of the tool storage you require depends on two things. Either whether you want it to be portable and how many tools you will be storing. Clearly, if it is a large tool chest, it will stay inside the garage the majority of the time. If you are a mechanic that travels to different locations with your tools, portability is something that you need to consider. A big mistake would be buying a tool storage cabinet and running out of space. Check how many tools you own and ensure the longest tool is less than the length of the drawer. For example, a torque wrench will require more length than a cordless impact wrench, which will have a chunky battery, which will require additional width inside the drawer. Causing unnecessary strain on the draws will more than likely cause damage over time. Tools such as heavy hammers or drills certainly weigh a lot and overloading is something that you will not want to do. The loading capacity must be adequate for your garage tools and equipment otherwise it will cause the draw construction to bend and eventually not shut properly. Large tool chests can weigh over 2,000 LBS when fully loaded and will remain in a single location for many years. However, you do have the choice because many come with casters so that they are easily movable around the garage. The benefit of a roller is that you are able to bring the tool chest as close as you can in the garage, which will improve your work rate. However, this may be a drawback in some circumstances as it can move and damage something inside the garage. If you choose to purchase a rolling tool chest, it is important that the caster are heavy duty and can handle a large amount of weight. The weakness of many tool chests are the caster and its important that you do not overload it with tools. Not only is the tool chest expensive to purchase, so are all the tools and garage equipment that you store in them. Many modern examples come with a lockable mechanism on a certain number of the drawers, which you can store the most expensive items. This will prevent anyone attempting to steal any tools whilst they are alone in your garage. In terms of the locking mechanism, you may notice that the premium examples will use a tubular lock and the budget tool chests using a standard padlock and key lock. Both will do the job of locking the draws but the tubular will be robust in case someone tries breaking the lock. As with any garage equipment, overtime you should be prepared to spend a little time maintaining the tool chest. Lubricating the sliders and casters is highly recommended as they can become ceased if they are not used as much. Some people wash their tool chests on a regular basis and even apply wax on to it in order to increase the shine. A tool chest is not something you buy every few months but rather a long term investment that should have a minimum life span of 10 years. Taking your time to research and see what is available is critical. For the larger garages and people with large budgets, the Viper VXXL86UBBL is the ultimate garage tool chest. The sheer size and high quality of the cabinet is a thing of dreams. However not everyone is able to stretch their budget to that extent and other may require rollers for movement within the garage. Ensuring that the tool chests stores all of your equipment and is a size that suits you best i.e. portable or static are the two most important factors. Once these are satisfied, you would have found the tool chest suitable for yourself.